Franki from a crafty touch asked me if I could make some cards for the Nottingham papercraft show tomorrow and this is what I came up with. 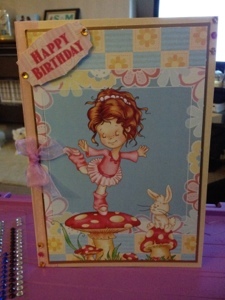 The images and toppers are what Franki gave me. 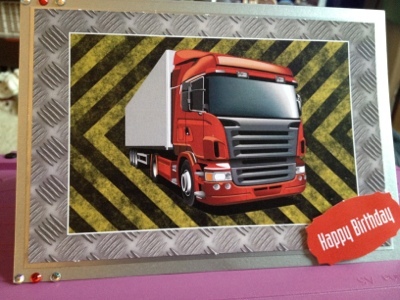 Fabulous cards, both so different from each other! Great cards. The truck one is very eye-catching. I like the backgrounds you've used for it.